The UFC launches the long-awaited first event of its new multi-year deal with ESPN on Saturday, Jan. 19, from the Barclays Center in Brooklyn, N.Y. The headlining bout is a superfight between reigning bantamweight champion T.J. Dillashaw and newly crowned flyweight king Henry Cejudo. 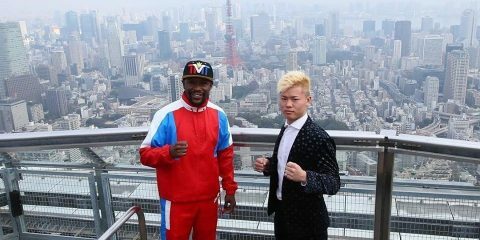 A lot has been made over the importance of this bout for the fate of the flyweight division, the weight class at which this championship contest takes place. It’s a can’t-miss clash between two of the top pound-for-pound fighters in the UFC today. The co-headliner is a heavyweight fight between NFL castoff Greg Hardy and Allen Crowder, who steps into the Octagon for his second official time after winning a UFC contract on Dana White’s Tuesday Night Contender Series. Hardy is making his official promotional debut with a fair share of controversy, as he was previously accused, charged and convicted of domestic violence when pictures surfaced of what can only be described as a savage, hellacious attack on his girlfriend at the time. Since then, the charges have been expunged when the victim was unable to be located to testify during Hardy’s appeal. 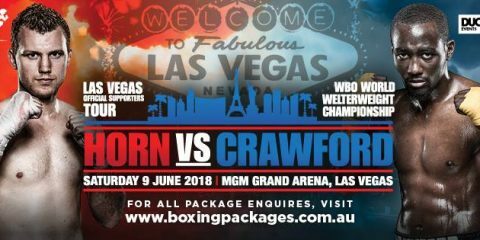 The card also features fan-favorite Donald “Cowboy” Cerrone in his return to lightweight on the ESPN prelims as he takes on surging Alexander “The Great” Hernandez. The lineup also features a much-anticipated women’s flyweight bout between Paige VanZant and Rachael Ostovich. The action kicks off on ESPN+ for the early prelims at 6:30 p.m. ET, moves to ESPN for the televised portion of the preliminary bouts at 8 p.m. ET, and then slides back to ESPN+ for the main card at 10 p.m. ET. Combat Press writers Bryan Henderson and Matt Petela preview the action in this edition of Toe-to-Toe. T.J. Dillashaw, the reigning UFC bantamweight champion, drops down to challenge Henry Cejudo for the flyweight belt. Will Dillashaw win? 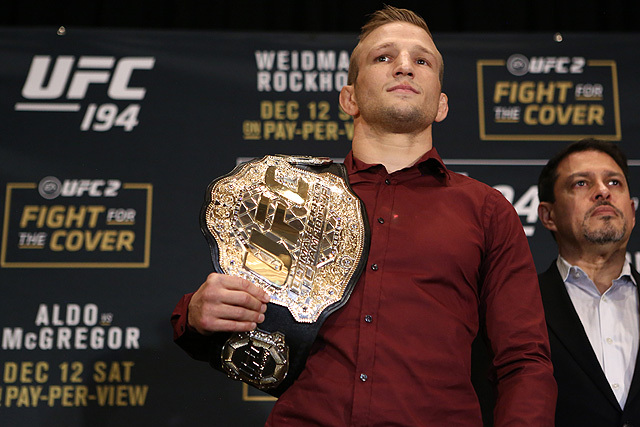 If Dillashaw does capture the title, will this be the end of the flyweight division in the UFC? Henderson: The UFC flyweight division has been a huge question mark ever since the trade of former champion Demetrious “Mighty Mouse” Johnson. There were rumors that the weight class would be dropped from the UFC by the end of 2018, and yet here we are with a title fight at 125 pounds. The problem is, this is a superfight that pairs the recently crowned flyweight champ Cejudo with Dillashaw, the 135-pound kingpin. It could be viewed as the UFC’s way to shut down the division simply by having Dillashaw claim the strap and then opt to continue his career back at bantamweight. If he does so, the UFC can just let the division fade away. It’s also better than just dropping the division while Cejudo is the champ, hence the reason the UFC went with this flyweight affair. Dillashaw is the favorite here. His last clear loss came when he was first entering the UFC via The Ultimate Fighter when he was dropped by John Dodson. He’s since lost via split decision to Raphael Assunção and Dominick Cruz. He’s even gone on to avenge the Assunção loss with a unanimous nod over the longtime contender. Cejudo’s only hopes are that a.) Dillashaw is drained by the weight cut; or b.) his own world-class wrestling chops can stifle Dillashaw for five rounds. Cejudo isn’t a terrible striker, but he’ll be severely outclassed on the feet by Dillashaw. The ground game is the flyweight champ’s best hope, but Dillashaw is likely to be too fast, too strong and too good at stuffing Cejudo’s shots to allow himself to be planted on the canvas. Dillashaw should win this fight. 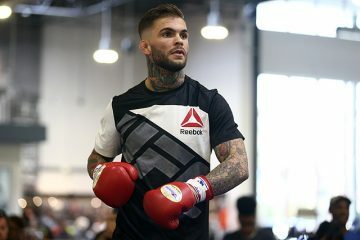 If he does, it’s probably the nail in the coffin for a flyweight division that has already been depleted by the trade of a pound-for-pound great, the UFC release of a number of fighters, and the move up to bantamweight of many more. 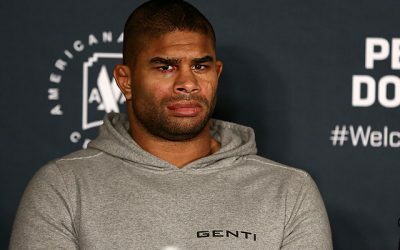 Petela: If Dillashaw makes weight and is able to do so in a somewhat healthy manner, he should be able to become the fourth UFC fighter to hold belts in two weight classes simultaneously. Dillashaw has long said that making the 125-pound championship limit won’t be a problem, but judging by some of his recent pictures, he looks so lean already that I don’t know how he plans on cutting any additional weight as the fight draws closer. Dillashaw does need to be aware of the wrestling skills the Olympic gold medalist Cejudo brings into the Octagon, but the way that Dillashaw combines his own collegiate-level wrestling abilities with his fleet-of-foot striking and elusiveness should give him the ability to stifle Cejudo’s takedown attempts and show off the large gap that exists on the feet between the two fighters. While the UFC is still scheduling flyweight bouts from time to time, the division is certainly smaller than it was prior to the Mighty Mouse trade. Multiple fighters have been released, and some flyweights have opted to take fights at bantamweight, like Sergio Pettis did when he went up against Rob Font. When all is said and done, Dillashaw will walk out with a second belt. The flyweight division will exist in the same sense that the women’s featherweight division existed when Cristiane “Cyborg” Justino reigned supreme. Dillashaw will be champion over a division without rankings, and he may defend the title from time to time, but he will largely focus on cementing his legacy as the greatest bantamweight in UFC history. Greg Hardy has received a key slot on this card opposite Allen Crowder. Does Hardy deserve to be featured here? Will he easily walk through Crowder? 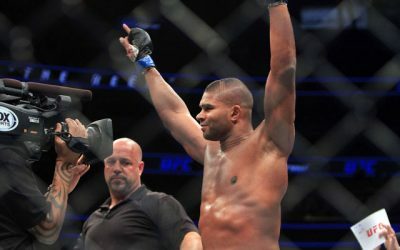 Petela: Hardy does not deserve to be fighting in the UFC or any other MMA promotion in my personal opinion, but given that his NFL career and subsequent legal troubles have made him a star among the mainstream sports media and fans it is no surprise that he gets put into a high-profile spot on the first UFC event with the company’s new media partner, ESPN. From a talent perspective, Hardy’s athleticism has carried him to a 3-0 record with three knockouts over opponents he was easily able to overwhelm. The UFC likely made this fight as another showcase bout, seeing as how Crowder lost to Justin Willis by first-round knockout in his first official UFC performance. All three of Crowder’s losses have come by knockout, making him just the type of fighter the UFC wants to put against the explosive Hardy to try to build him into an MMA star. The organization will develop him slowly until it thinks he is ready to take on someone of a similar talent level. Henderson: It’s become ridiculous how some sports are more likely to shun an athlete for smoking a bit of weed or taking a political stand than they are to ostracize someone guilty of murder or domestic abuse. Somehow, even the NFL, home to such class acts (that’s sarcasm, by the way) as Ray Lewis, Ray Rice, Kareem Hunt and Reuben Foster, found Hardy to be too much. The UFC, on the other hand, is apparently fine with employing him. If it’s not evident enough by the above comments, I, too, see Hardy as undeserving of his place on this UFC card and on the UFC roster. He undoubtedly has the physical gifts to be a star in either the NFL or the UFC, but a promotion that makes its money on men punching each other in the face should not give any airtime to a man who prefers to use his fists on a woman. Yet, here we are. Not only is the UFC featuring Hardy prominently on this card, but it has lined him up with someone who is very prone to knockout losses. 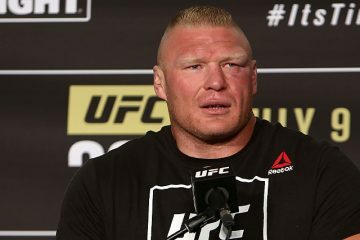 The 29-year-old has suffered those defeats against various levels of competition, from future top-10 heavyweight Curtis Blaydes, to mid-tier UFCer Justin Willis, and on down to regional fighter Ryan Pokryfky. Hardy is a -525 favorite, and rightfully so. 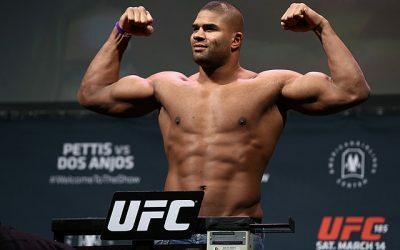 He should stomp through Crowder, unfortunately paving the way for more Octagon appearances. Ariane Lipski, Alonzo Menifield, Vinicius Alves, Mario Bautista and Kyle Stewart — do we need to know these names? Henderson: This class of newcomers, which also includes Greg Hardy, whom we discussed in detail in the last question, isn’t too shabby. In fact, we could have one future title contender in this group, at the very least. Lipski sure seems to be on her way up. 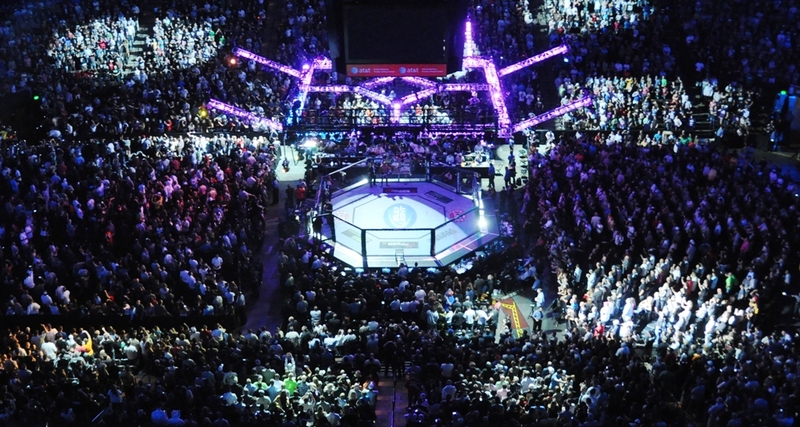 The 24-year-old joins the UFC following a reign as the KSW women’s flyweight champion. She earned the KSW title shot with a win over Sheila Gaff and then armbarred Diana Belbiţă for the vacant belt. She has since made successful defenses over Mariana Morais and Silvana Gómez Juárez. Lipski’s only losses came early in her career, and all of those setbacks came against solid competition. 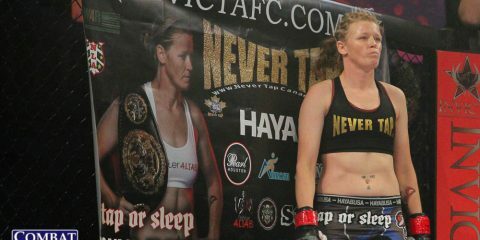 She’ll have a tough test against Joanne Calderwood, but “JoJo” has disappointed with her inconsistency and could give Lipski a huge first win in the Octagon. Menifield and Alves are set to fight each other at the light heavyweight level. Menifield has enjoyed the bigger stages throughout his career, which started in Bellator and has also included stops with the Resurrection Fighting Alliance, Legacy Fighting Alliance and DWTNCS. The 29-year-old Alves also punched his ticket to the Octagon with a win on DWTNCS, but he did suffer one loss on the Brazilian regional circuit. Menifield is likely to add yet another finish to his record and announce his arrival as a 205-pounder to watch. 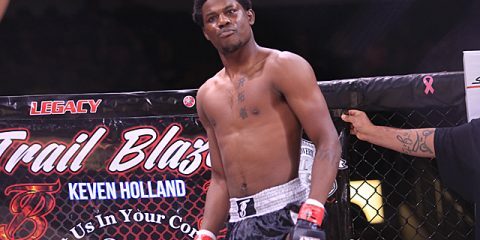 Stewart, a late replacement for Randy Brown against Chance Rencountre, is a solid welterweight whose only loss came to fellow prospect James Nakashima. He’s capable of sticking with the UFC. Bautista, a young bantamweight, has the backing of the MMA Lab and sports an undefeated record, but it might be a bit early for him to leap into these deep waters. 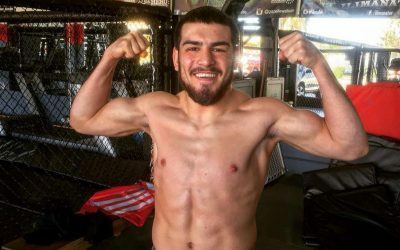 Petela: This is indeed a talented group of newcomers to the UFC, and Lipski is probably the fighter to keep the closest eye on heading into 2019 and beyond. The new women’s flyweight division has some stability at the top now that Valentina Shevchenko defeated Joanna Jędrzejczyk for the belt that was left vacant after Nicco Montaño was stripped for pulling out of her scheduled belt with Shevchenko. Lipski is a young fighter who already poses threats to her opponents in all facets. She is able to grind out tough decisions and grab a hold of limbs and necks for submissions, as well as end fights with her hands. Calderwood has been inconsistent, but when she shows up ready to fight, she is no easy out. This will be a good litmus test for Lipski as she looks to embark on a long successful run on the sport’s biggest stage. Petela: I’m not sure if the prelim headliner, which airs on ESPN before the event shifts back to ESPN+, is necessarily the spot on a fight card where you would find a sleeper bout, but with the buzz being almost solely contained on the new media partnership with ESPN and the superfight for the flyweight title, Donald “Cowboy” Cerrone’s return to 155 pounds against Alexander Hernandez is largely going unnoticed. It is an intriguing match-up, though. Hernandez is coming off a dominant win over Olivier Aubin-Mercier and a first-minute knockout of Beneil Dariush over his last two fights. This is certainly not an easy return to the division for Cowboy, who, despite a first-round submission over Mike Perry at welterweight, is a notoriously slow starter. If Cowboy can weather the early storm from Hernandez, then he should be able to come out victorious and start to make one final push at UFC gold before his career comes to an end. Henderson: This card has really been boiled down to the title headliner and Greg Hardy’s controversial inclusion. This means that we have a lot of unnoticed fights on the docket. While Cerrone’s battle with Hernandez is a good choice, I’ll look even higher up the lineup. Has anyone realized that Gregor Gillespie is on the man card of this show? 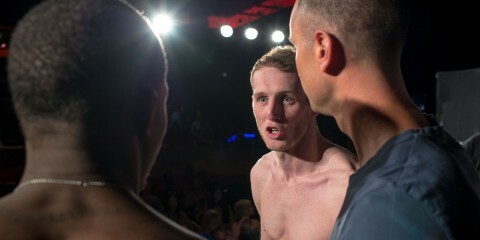 Gillespie has compiled a perfect record through 12 pro fights, including five Octagon appearances. His list of UFC victims includes Glaico França, Andrew Holbrook, Jason Gonzalez, Jordan Rinaldi and Vinc Pichel, and all but one of these fights ended in a finish for the 31-year-old. Obviously, his upcoming opponent, Yancy Medeiros, marks a tremendous step up in competition. This is a necessary move if Gillespie wants to climb the ranks, and Medeiros is well established as a great gatekeeper. Since entering the UFC in 2013, Medeiros has gone 6-5 with one no-contest. 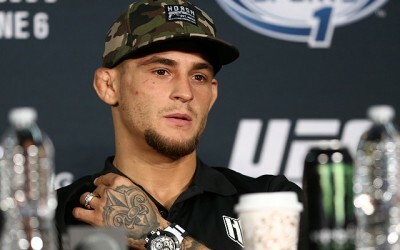 He’s suffered losses to the aforementioned Cerrone, Francisco Trinaldo, Dustin Poirier, Jim Miller and Rustam Khabilov. Meanwhile, he’s defeated the likes of Erick Silva and Alex Oliveira, the latter of which was an epic comeback for Medeiros. Most notably, Medeiros has only gone the distance twice in his UFC career. So, while the focus might be on the top-billed fights on this card, don’t sleep on Gillespie and Medeiros. These two are capable of putting up one hell of an entertaining affair. Henderson: A trial evaluation of ESPN+. For many an MMA fan, any streaming investments over the last year or two have gone to UFC Fight Pass and DAZN. Well, with the UFC’s move to ESPN, it’s time to add another line item to the budget: ESPN+. Fortunately, most streaming services offer a free trial period. This will be a good way to view the UFC’s first venture on the service before doling out five bucks a month to keep it around for future events. Petela: A box of Franzia White Zinfandel. The UFC is using this card to entice new viewers with its first event on the ESPN platform, and it ends up looking something like a poor man’s pay-per-view. There’s nothing wrong with that, just like there is nothing wrong with untwisting a few red solo cups full of Franzia from time to time.